NHL Network will televise live the final three days of games at the 2018 World Junior Summer Showcase in Kamloops, B.C. as well as the final two days of games at the 2018 Hlinka Gretzky Cup in Edmonton and Red Deer, Alta. In total, the NHL Network coverage will include 10 games between the two events televised live from Thurs., Aug. 2, through Sat., Aug. 10. The six-game NHL Network coverage of the Showcase begins on Thurs., Aug. 2, with USA-Sweden at 4 p.m. ET and Canada-Finland at 9 p.m., while on Fri., Aug. 3, fans will see USA vs. Finland at 4 p.m. and Canada vs. Sweden at 9 p.m. NHL Network’s Showcase coverage closes with two of the biggest rivalry games in the sport on Sat., Aug. 4, with USA taking on Canada at 5 p.m. and Sweden facing Finland at 8 p.m. For the full U.S. 2018 World Junior Summer Showcase schedule, click here. Then, on Fri., Aug. 10, the coverage will shift to the 2018 Hlinka Gretzky Cup where NHL Network will televise four games live. Coverage begins with the tournament's two semifinal tilts at 5 p.m. ET and 9 p.m. ET before concluding on Sat., Aug. 11, with the third-place game at 5 pm. ET followed by the championship tilt at 9 p.m. In addition, HockeyTV will provide live streaming coverage of the tournament's preliminary round, fifth-and seventh-place games – 14 games total – starting Aug. 6. 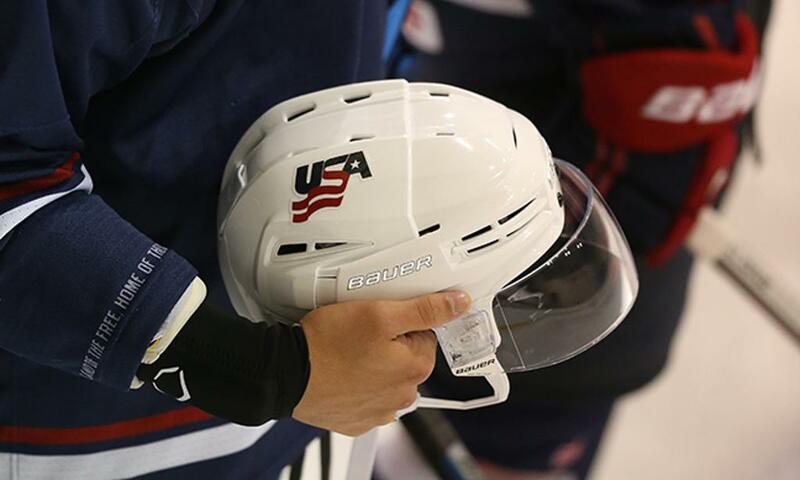 For the full U.S. 2018 Hlinka Gretzky Cup schedule, click here. The 2018 World Junior Summer Showcase begins Sunday (July 29) at Sandman Centre in Kamloops, B.C., and features teams from the U.S., Canada, Finland and Sweden. The event serves as an audition for players seeking to make their federation team that will compete at the 2019 International Ice Hockey Federation World Junior Championship, Dec. 26, 2018 – Jan. 5, 2019, in Vancouver and Victoria, B.C. The 2018 Hlinka Gretzky Cup, which will be played in North America for the first time since 1996, is an under-18 men's competition that will include teams from Canada, Czech Republic, Finland, Russia, Slovakia, Sweden, Switzerland and the United States. NOTES: For more information on the 2018 World Junior Summer Showcase, click here ... For details on the 2018 Hlinka Gretzky Cup, click here.